One of the action items from the Meet and Greet Session with the Chief Minister of Punjab held on July 11, 2012 for the local technology entrepreneurs was the development of a framework to facilitate access to capital for young start-ups in the province. Two days after the meeting, Mr. Umar Saif, Chairman Punjab Information Technology Board (PITB) convened a meeting with Vice Chairman of Punjab Board of Investment and Trade (PBIT) Mr. Miftah Ismail, former Managing Director of Pakistan Software Export Board (PSEB) Mr. Zia Imran and myself to evaluate various options for developing a framework that can make it easy for start-ups to get access to capital – debt or equity – but which also conforms to the rules and regulations and more importantly the practical constraints of the Government. I am documenting my thoughts shaped generally by my past experience and specifically from the discussion in the afore-mentioned meeting with an intention to solicit comments from my readers to refine the model further before my next meeting with the powers-to-be in the Punjab government. I am very hopeful that something substantial will come out of these exchanges if it has the support of the community. Although the model below is primarily geared towards technology start-ups, I don’t see any reason why it can not be applied for providing capital access to young businesses in other industries. No grants or free-money for the entrepreneurs. Although I am hesitant in speaking on behalf of others in the meeting, I’d go out on a limb and state that we all felt strongly that free money is against the spirit of entrepreneurship, especially for commercial ventures. Every penny or paisa raised for a venture needs to be squeezed for all the value it can yield, and without the expense of equity or cost of debt in its exchange, it’s hard to guarantee that. The government or any government entity may not have an equity interest in a private venture. That precludes the government from reaping the benefits of equity appreciation in any of the ventures it facilitates financing for. That also, pretty much leaves debt instruments as the only viable financing vehicle which can be facilitated for the start-ups under the government umbrella. If it’s not possible to eliminate it, discretion needs to be minimized as much as possible in the entire process of securing financing through the government bodies. A corollary to the third point is the need for absolute transparency in the process so that it can be ensured that everyone had an equal opportunity to leverage this platform to gain access to start-up capital. Stage 1 Start-ups which span the range of brand new ventures from the time the founders have a viable business idea to the time they can develop a Minimum Viable Product (MVP) and demonstrate some traction in the target market. They typically have no cash-flows at all. Stage 2 Start-ups typically will have developed an MVP and are looking to capitalize on the early market traction by spending on sales and marketing or pivoting based on early market feedback with the primary objective of establishing a compelling growth story for larger investors. Typically these start-ups will have considerable cash-flows although they may not be positive. Stage 3 Start-ups have established themselves as high-growth-potential businesses and are looking to raise money to support that growth. Usually these are positive cash-flow companies that may even be profitable. It is important to classify start-ups in this way because depending on the stage they are in, their issues and options are different, at least in the context of Pakistan. Although in markets like USA – where Venture Capital is a mature, established and proven industry – all Stage 1 through 3 start-ups will have viable options to raise money from a network of investors that range from friends and family to Angels to VCs and institutional investors; in Pakistan, however, the story is different. There are extremely limited options for Stage 1 start-ups to raise money both as debt (almost non-existent) or equity (typically self-financed or small money for those with access to wealthy family, rarely friends). Wealthy individuals typically shy away from concept stage companies run by founders without an established track record and primarily because there is limited understanding of technology business models and valuation methods. As a result there are very few start-ups that reach Stage 2 and 3. Although wealthy individuals, or Angels investors as they are usually called, may be open to investing in companies which have a tangible product and a minimally validated business model, they usually shy away from investing in these Stage 2 and 3 start-ups because there aren’t enough of them around to allow these Angels to hedge their bets by having a sufficiently diversified portfolio. They would typically require a large enough pool of Stage 2 and 3 start-ups as well as some support from the government to leverage their investments as was the case with Small Business Investment Companies (SBICs) in United States that fostered the VC culture. For the rare and exceptional companies that can reach Stage 3 and have a validated business model with predictable revenue stream on a decent growth trajectory, access to capital is generally not an issue. There are plenty of local as well as global VCs that can invest in such companies. If there are problems, they certainly don’t need to be addressed by the government. So, for the most part, the proposed framework addresses the capital needs of the Stage 1 and Stage 2 start-ups. PITB recently announced plans to setup an incubator at the Arfa Software Technology Park which will provide free office space, internet, hosting, training and mentoring and eventually introductions to foreign investors and incubators to qualified technology focused start-ups. These services are planned to be offered at zero cost to the hosted start-ups! It will do very little to attract those entrepreneurs to this ecosystem which have tight cash-flows but a lot of fire under their belly. A large majority of young potential entrepreneurs have an imminent need to generate income for their families the moment they graduate. At the very least, they need minimal sustenance money as stipend to encourage them to venture into the entrepreneurial sphere. Building a large pipeline of Stage 1 start-ups at the bottom of the pyramid is critical to the success of the entire ecosystem we aim to develop through this initiative. Aside from the services that PITB plans to offer these start-ups, there are plenty of other services and expenses that require a decent amount of capital for a start-up to survive. Legal services, accounting services, marketing services, hardware and software license fees, special hardware and networking equipment like load balancers or large storage arrays or alternatively cloud computing costs. All the existing services offered by the incubator will be treated as free money in kind without any strings attached. It will promote a less responsible entrepreneurial culture and may even increase the start-up failure rate at the incubator due to reduced consequences of failure. Therefore, keeping in mind the constraints and premises outlined in the beginning of this document and the issues identified immediately above, the following needs to be done to facilitate access to capital for the Stage 1 start-ups. The existing planned services like office space, furniture, high speed internet access, conference facilities, hosting, entrepreneurship training and business mentoring. Additional office services like shared conference rooms, telephone exchange, fax, photo copier, printer, scanner etc. Call center & Marketing services – telemarketing, inbound and outbound campaign management, Level 1 Support center, etc. Some of these are already planned by PITB, others need to be done at a very small scale so it doesn’t require a lot of additional HR and Capex. Plus all of these services will be shared by all the hosted start-ups so they can be utilized effectively and economies of scale can be leveraged. A monthly stipend to the eligible founders that is equal to the market salary he or she may fetch. Access to on-demand but capped Internet Marketing Service which will spend directly on internet and search advertisement on behalf of the start-ups as requested. None of these services are offered free of cost to the start-ups! PITB needs to place a value to ALL of the afore-mentioned services including the stipend and Internet Marketing Service. This is a fairly simple exercise that can be done with the aid of good accountants and costing methods as well as the prevalent market rates for similar services, within or outside the country. Once the value of these services and stipends is established, it is offered to the start-ups on a pay what you use basis in exchange for debentures backed by personal guarantees of the founders with interest payments deferred till the first sizable round of financing or a fixed term of, say, 2 years which ever occurs first. Since most of the services are consumed over a period of time, these debenture can be issued quarterly in advance for the ensuing three months of services but all maturing concurrently with the first debenture. The interest rate for issuance of new debentures can either be the prevalent market rates or marked up to cover the risk of default in the entire portfolio as well as the favorable financing terms being offered. Prepayment of principal may be allowed at the time of the investment without penalty. Both of these are the government’s preference. 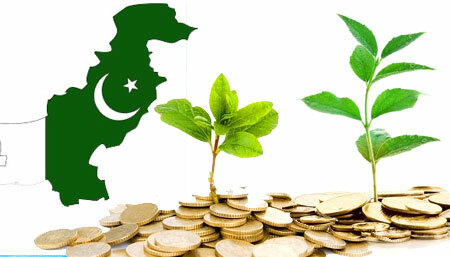 The start-up is able to raise a sizable round of investment (the minimum amount to be determined as a policy matter by the government) before the debenture maturity in which case it will start making interest payments to PITB based on the interest rate of the issued debentures plus the accrued interest prior to investment, spread over the remaining term of the debentures. Alternatively, the start-up may choose to stop consuming PITB services and pay PITB the principal of debentures issued to date along with the accrued interest. The start-up is not able to raise funding and the term of the debenture elapses in which case the start-up can no longer avail any of the PITB services and stands in default. At this time, since the debentures were personally guaranteed by the founders, the default amount may be converted to personal loans to the founders based on the start-up’s equity structure with an extended load term of, say, 10 years to facilitate the founders making monthly payments easily. If they default, the founders run the risk of jeopardizing their credit rating which is increasingly becoming important in the financial ecosystem of Pakistan as banks take this into consideration before issuing credit cards or loans for cars and homes. In order to implement this arrangement in its entirety, a licensed financial institution might have to be involved like the Bank of Punjab, but that remains to be determined by an expert in the field. In order to simplify things, the outstanding principal and interest from failed start-ups may be written off, but it’s not the preferred option. Also, the default risk in these start-ups can be minimized by constant supervision of the start-ups by designated mentors and by ensuring that they continue to meet preset, mutually agreed upon goals. Failure to meet those goals or unfavorable endorsements from the mentors may result in immediately kicking off the start-up from the incubator and therefore unable to consume any of the PITB services. This might seem like a complicated arrangement, but once the modalities are worked out and template contracts drawn, it can be easily replicated using a cookie cutter approach. It is expected that a framework like this will attract young, passionate entrepreneurs from all demographics and build a healthy pipeline of start-ups that can feed Stage 2 start-ups pool. In order to increase the effectiveness of the program, a scaled down version of the incubator in the Arfa Software Technology Park can be replicated in other cities of the province. Once there is a sufficient number of Stage 1 graduates seeking funding in the market, it will encourage investors to consider funding a diversified portfolio of start-ups. There is still a need to encourage such investors along the lines of the Small Business Investment Companies (SBIC) model in the United States. This often recurring program since the late 50s is usually cited as the single most important factor that contributed to the growth of the VC industry in the United States. The details of the program along with policies and regulations can be reviewed at this link, so we just highlight the salient aspects of the program which can be modified to fit Pakistani regulations. Basically the program encourages creation of investment companies which primarily fund small businesses as the core part of their investment strategy. Qualified SBICs establish a fund with a prescribed minimum capital raised from private sources and can leverage this private money up to 1x-3x, depending on the government policy, in the shape of 10 year debenture issues backed by government guarantee. The interest payments are usually semi-annual and the principal is deferred till maturity. There are strings attached to the leverage that the SBIC can draw on, primarily limiting the SBIC to the kind of companies it can invest in as well as a set of mostly objective performance criteria it must adhere to in order to continue to avail the right to draw on the leverage. One of the most important performance metric is the Capital Impairment Ratio (CIR) which can revoke the SBIC’s right to draw on the leverage depending on how low the CIR gets and may even result in liquidation and receivership proceedings. It is basically an objective valuation of the SBIC portfolio companies represented as a percentage of the SBICs private capital. If it impairs below a certain threshold, the extraordinary proceedings ensue as outlined above. The same model can be replicated in Punjab with the help of GoPb and financing institutions like the Bank of Punjab but tailored to the local laws and constraints. It will encourage the creation of investment companies that can be mandated to invest in small companies. The primary benefit of a model like this is that the SBICs equivalent private investment companies can invest in small businesses both for equity or as debt. This opens the door for start-ups to tap equity based financing. from these investment companies. Detail program guidelines including evaluation process for the investment companies, terms of the debentures, investment monitoring and oversight procedures, supporting legislation and regulations and statistics about the program from the United States can all be found at this website for local experts to analyze and propose a variation that will conform to our laws and regulations. One of the ways the government can reduce the risk of losses in the program, increase transparency, management and governance, and improve its effectiveness for the entire start-up ecosystem is by mandating that the SBICs must attract a certain percentage of capital from reputable foreign VCs or other international financial institutions. Not only will this bring to the table the expertise and skills of the foreign collaborators, it will also pave the way for the local start-ups to reach an international pool of investors and companies for successful exits. An alternative program tried in other countries that has yielded good results is based on a similar model, but instead of providing leverage to SBICs, it uses a Public Private Partnership model. A fund of funds can be created which matches 100% of the capital invested in a VC fund in Punjab by a foreign, reputable financial institution or VC and offers the collaborator call options on the government share for up to 5 years at a cost plus interest charges basis. Studied models usually require that the local VC fund be setup as an independent entity managed by local management but financed by at least one foreign and one local reputable financial institution. Unlike the first SBIC based model which provides a downside guarantee, this model offers an upside incentive to the investors in the form of agreed upon buyout options if the fund is successful. With the recent passage of the Public Private Partnership related legislation, the second model might be more feasible in the legislative context of Punjab. Again, experts can work out the pros and cons of both and decide on one. Stage 3 start-ups with positive cash-flows and an established track record of growth can also leverage investment from the SBIC equivalents in Pakistan as well as plenty of other local and global funding sources. Any special government support is not necessary to connect these start-ups with investors other than perhaps semi-annual conferences that bring local and global investors as well as local start-ups together on one forum. The valuation of tech companies can be a tricky business but there are plenty of independent experts in the country with considerable experience that can constitute a board that evaluates the start-ups on various objective factors including tracking adherence to projected future cash-flows, growth in unique visitors to an online service, percentage of recurring customers, target market size, quality of founders, partnership/licensing deals, value of service contracts, etc. There is absolutely no way this valuation can be made absolutely objective. Subjective analysis plays a role in the valuation of any business, not just technology businesses. The best that can be done is to make the role of subjective factors as little as possible and rely on multiple independent experts to arrive at a fair value which can be an average of independent valuations of each of the experts reviewing a business. A service along the lines of High-tech Start-up Valuation Estimator can be developed by PITB based on inputs from local experts to make the process as objective and transparent as possible. Depending on which life-cycle stage start-ups are in, they face different challenges in raising capital. For brand new Stage 1 start-ups with no or minimal revenues and no minimum viable product, PITB can offer a comprehensive portfolio of incubation services as well as a reasonable stipend to eligible founders. All of these services are priced and constitute an unsecured loan to the start-up, backed by personal guarantees of the founders, with interest and principal payments deferred till a qualified financing round or a fixed term of 2 years. Start-ups are monitored throughout their life-cycle by designated mentors who ensure the start-ups’ adherence to mutually agreed upon performance goals. For Stage 2 start-ups with some cash-flow and a developed product or service, the GoPb, with the help of Bank of Punjab, can encourage formation of investment companies by offering 1-2x leverage commitment in the shape of long term debentures guaranteed by the government. Objective criteria for the evaluation of the investment company management as well as for the valuation of the investment company’s portfolio can be developed, supplemented by appraisal by an independent board of technology and investment experts, to contain the risk of default on the leverage which is guaranteed by the GoPb. This step along with the sizable pool of eligible stage 2 start-ups that will graduate from Stage 1 will encourage small investors or investment companies to invest in a large, diversified portfolio of technology start-ups. Stage 3 start-ups can tap into a lot of local and international investors for their needs. Government may sponsor semi-annual technology investment conferences where these investors are brought together with the local start-ups on one platform.